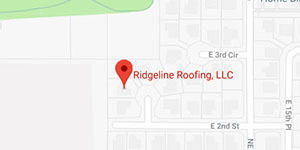 Choose the top roofing company that works in Mill Plain! Looking for the best roofers that will gladly come out to your property? Make sure they also do quality work and use high-end roof materials. You won’t be disappointed when you see our incredible roofers do their job! Mill Plain is more than a long street. And our roofing contractors know that. As a suburb with over 7000 people, even though Mill Plain Blvd is several miles long, that many people couldn’t fit on it! But sometimes, it seems like the entire population converges at Harmony Sports Complex between NE 18th St and NE 9th St. With several baseball and softball fields, it’s not an uncommon site to see the parking lot completely loaded. The well-kept green field is also home to soccer games too, with cheering parents lining the sidelines for what seems like miles and miles. And the new upgrades coming eventually will bring more improvements such as a better parking lot! After winning the championship, no doubt kids will want to go visit the Humane Society of Southwest Washington. Cats, dogs, puppies, and kittens are all available for adoption to loving families who can provide a good home for the new pets. While some people are put off by the adoption price tag, don’t give up yet! This humane society frequently has special events such as free adoptions for veterans during the month of November, name your own price for adult cats, and more! They frequently also have low-price veterinarian events so your cat or dog can get the treatment they deserve at a price point you can afford. Make sure to give them a look!